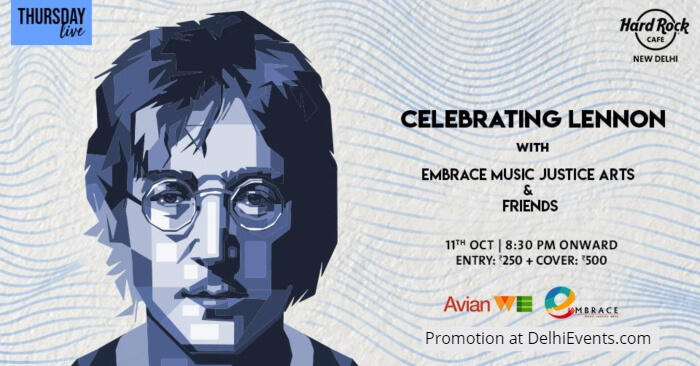 Celebrating John Lennon’s 78th birthday week, we are paying our respect and honour with a multi-artist evening of his songs. An icon and legend, Lennon wrote the anthem Imagine but did not leave his expression on war and peace or love to merely this track. He wrote songs such as Gimme Some Truth, Working Class Hero, Woman, Instant Karma and Jealous Guy, to name a few. As a 'Beatle', his presence was evident in Come Together, Across the Universe and Don't Let Me Down, amongst a long list.